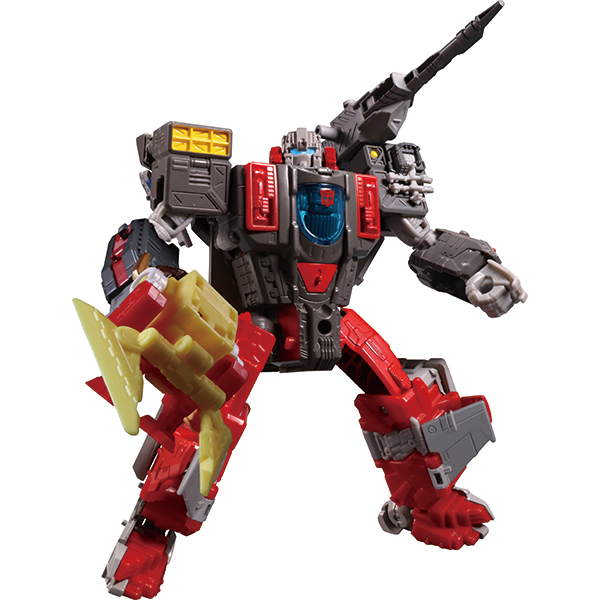 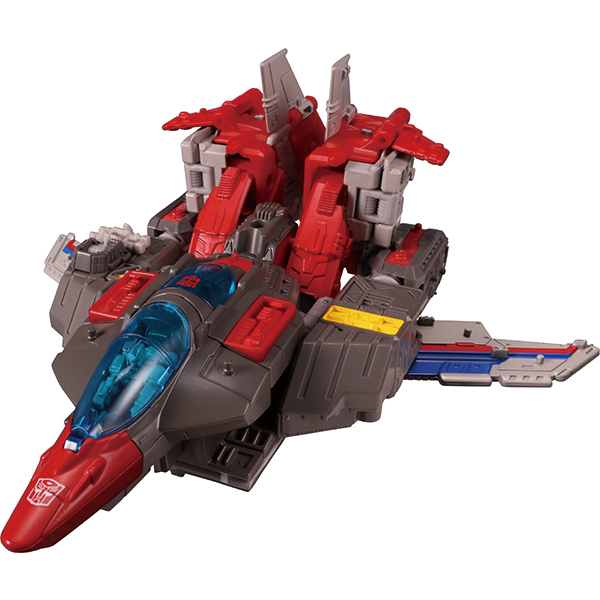 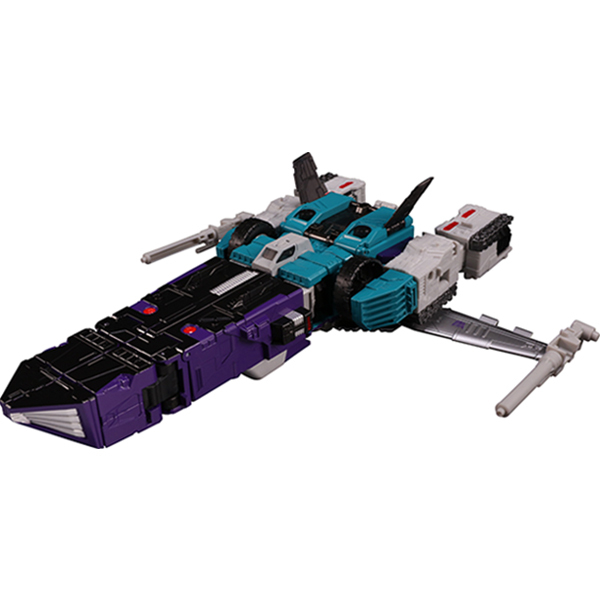 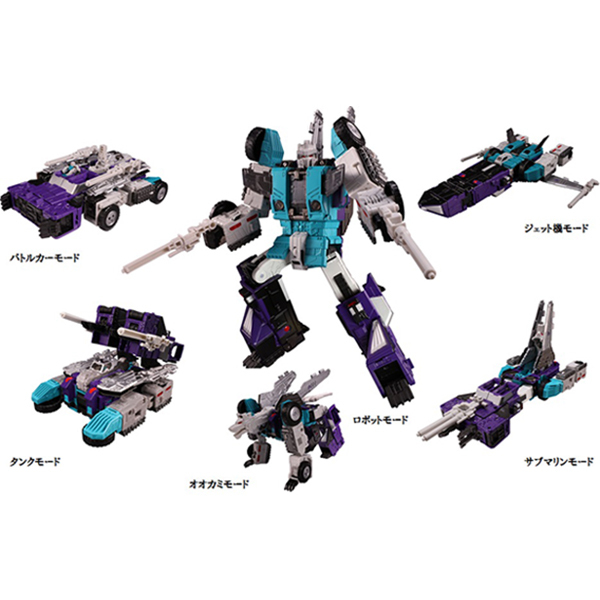 Via Takara-Tomy Mall, we’re able to share some official images of upcoming releases in the Transformers Legends line Sixshot, Doublecross, Misfire, and Broadside, all of whom feature some alterations from their US releases. 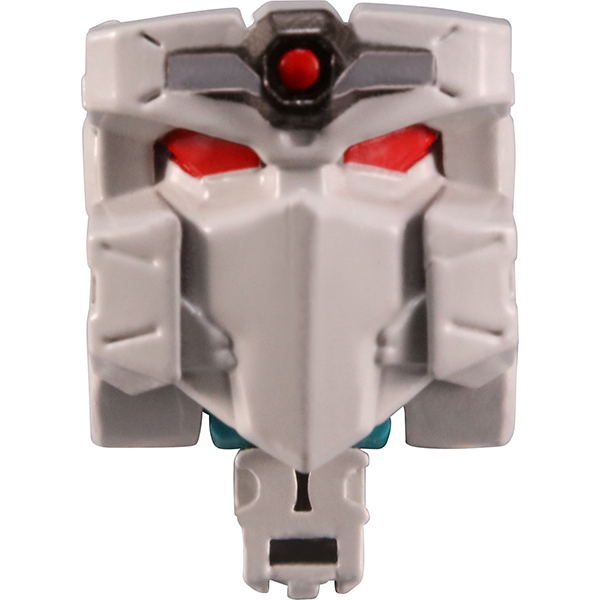 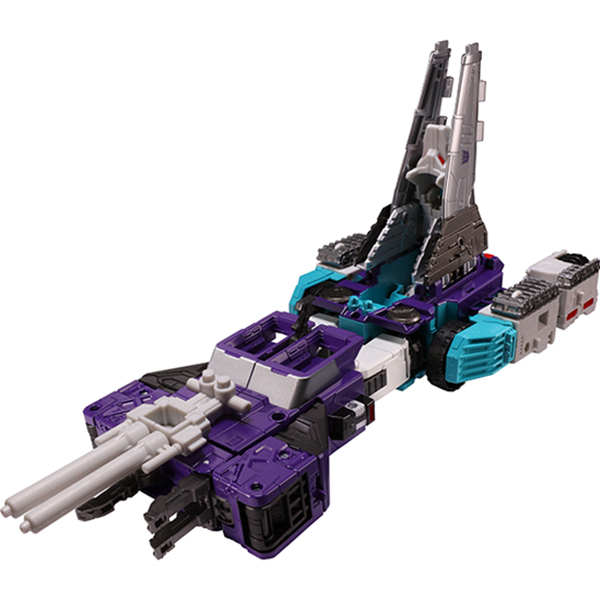 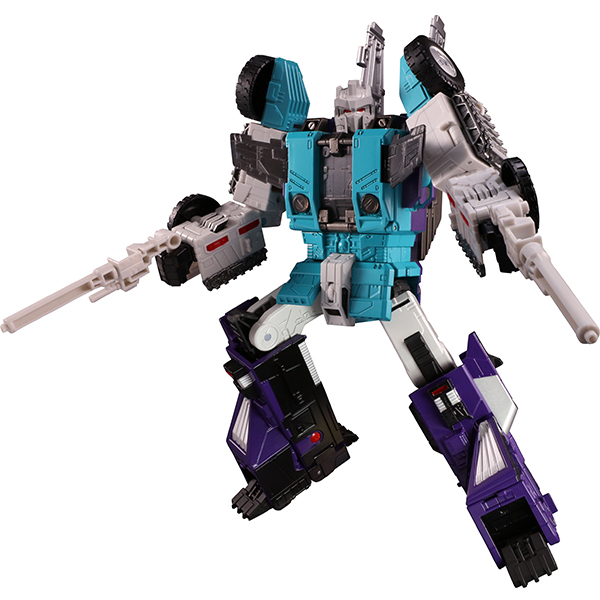 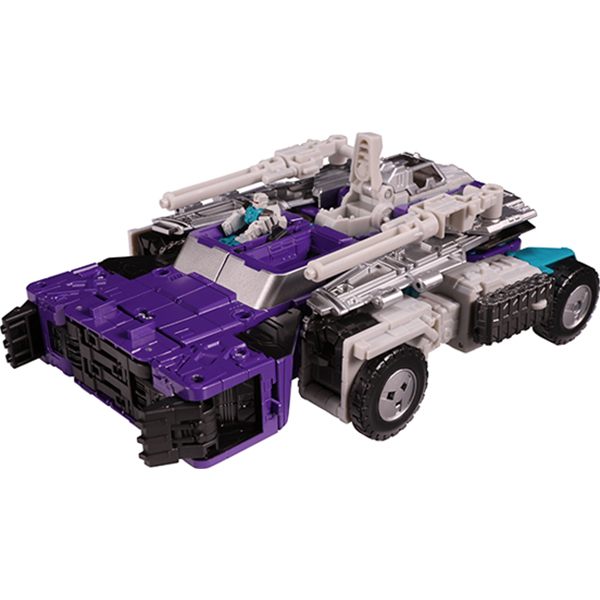 Sixshot, for example, features a new head, based more closely on his helmet design from The Headmasters, as well as having his Titan Master painted to resemble a miniature version of himself. 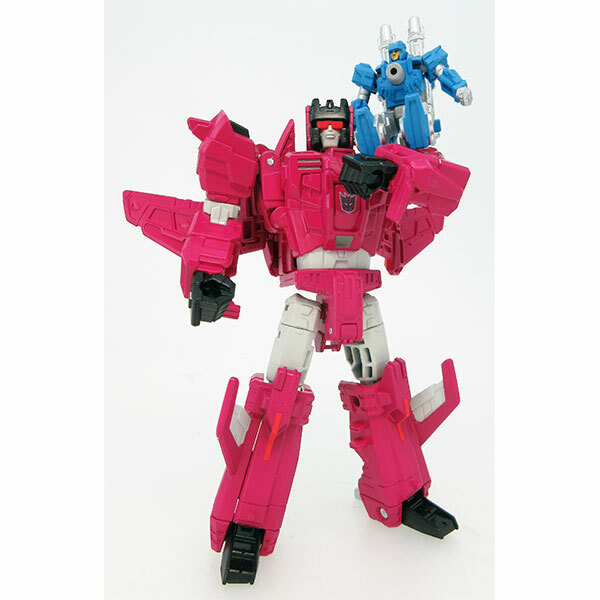 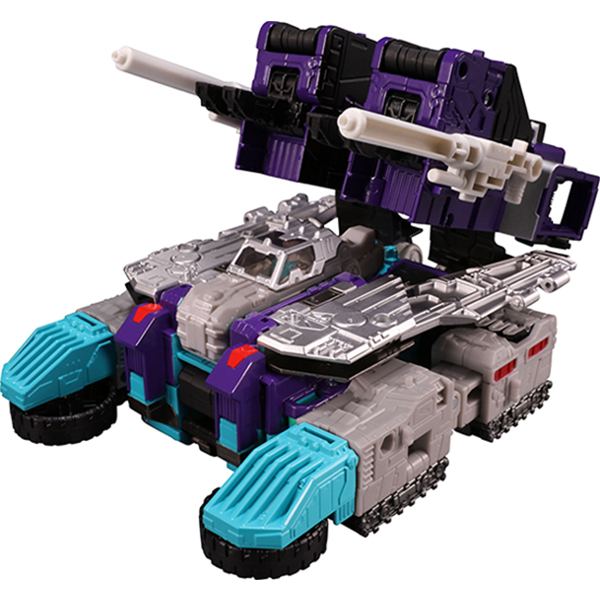 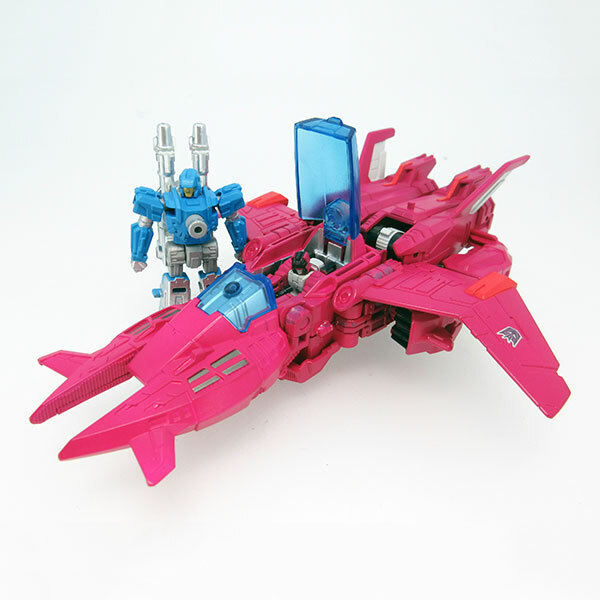 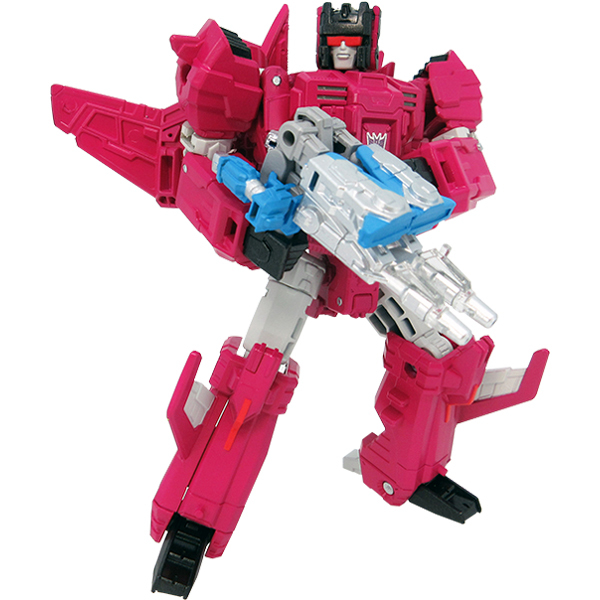 Doublecross and Misfire drop the weapons from their Hasbro releases in favor of Targetmasters – in Doublecross’ case, he comes with Haywire, who was Blur’s Targetmaster partner – as well as some differences in the paint. 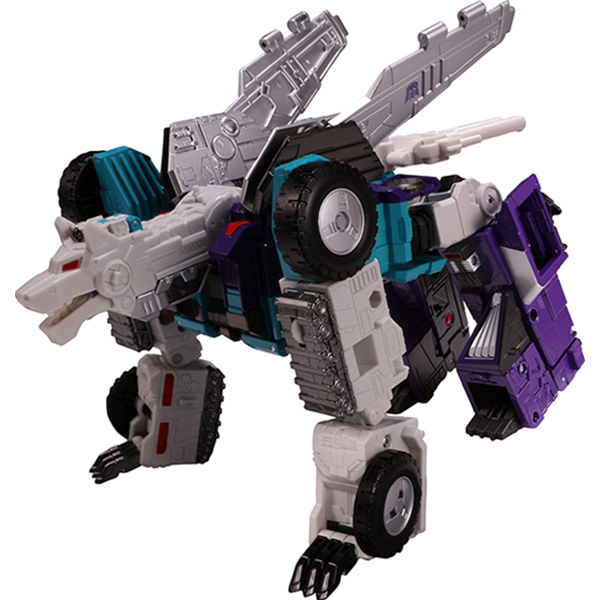 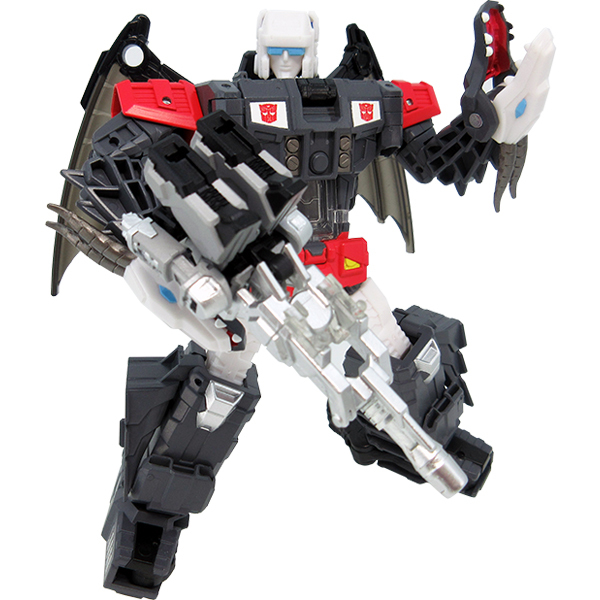 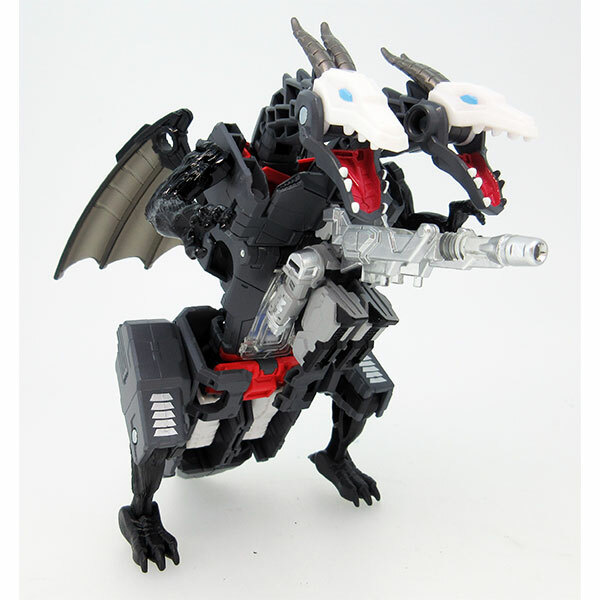 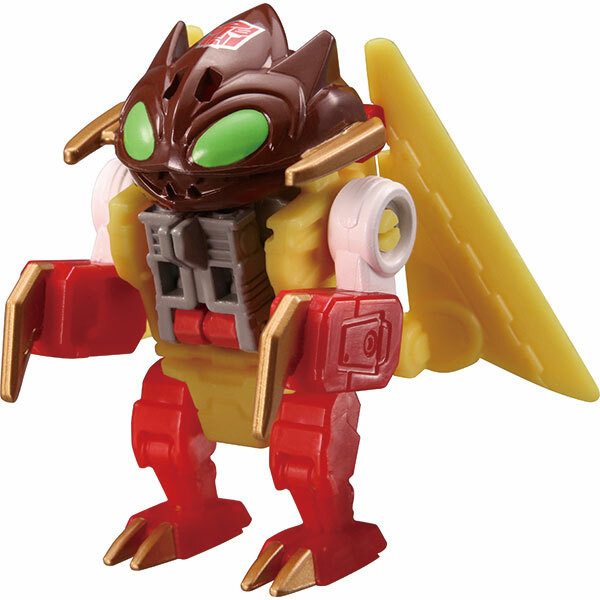 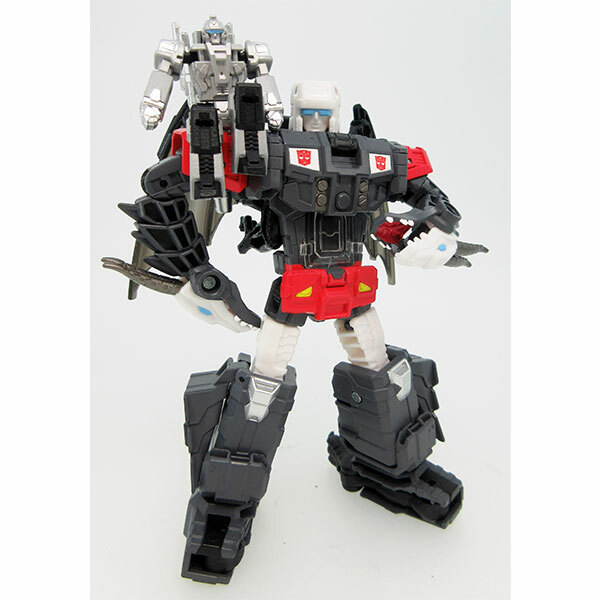 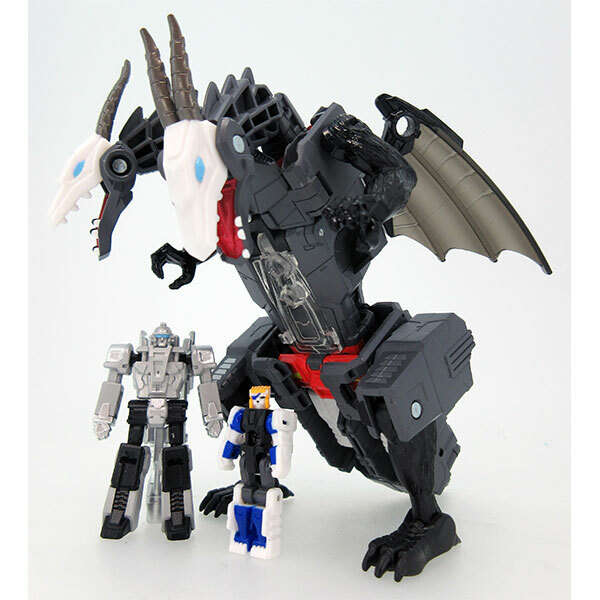 In Doublecross’ case, the new deco is extensive, and includes the Headmaster being painted as the Battle Beast White Lion. 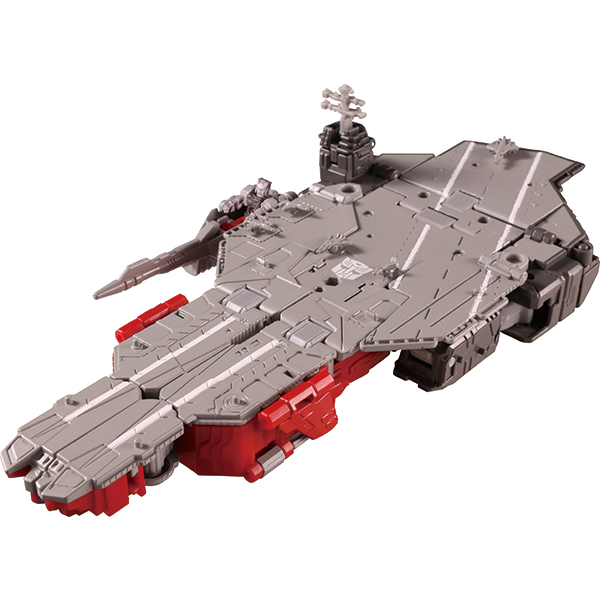 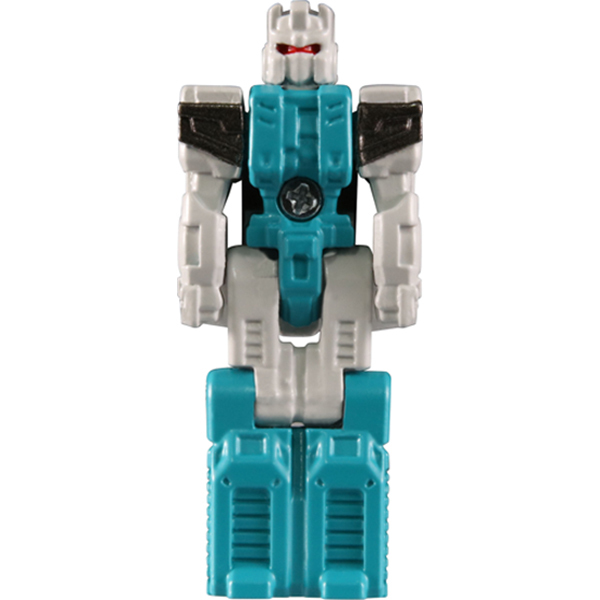 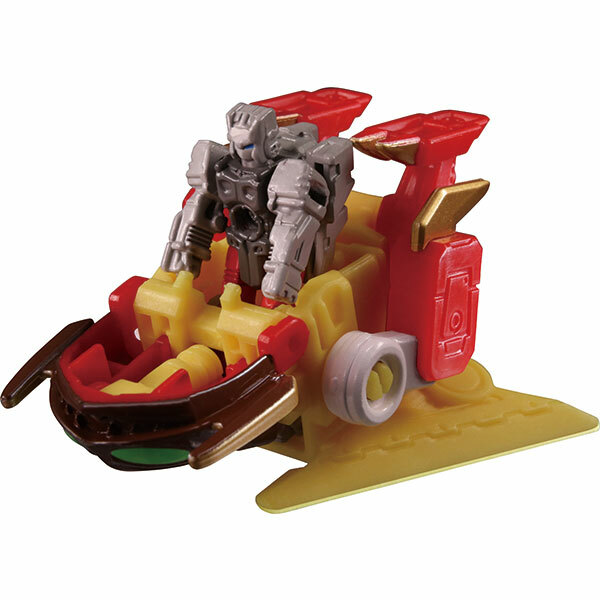 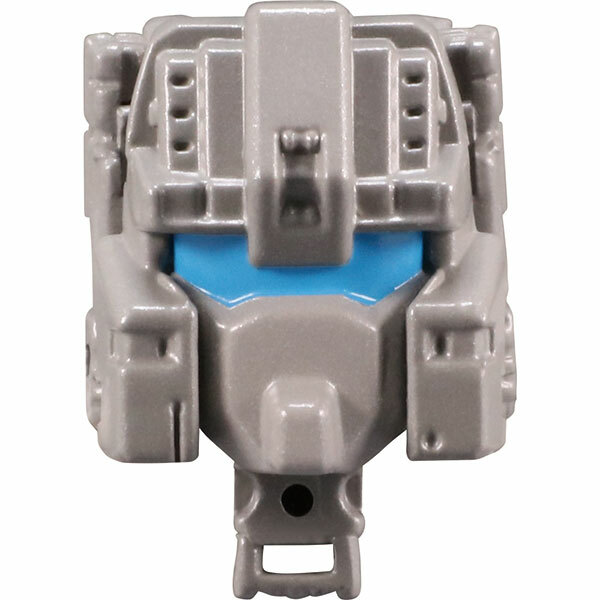 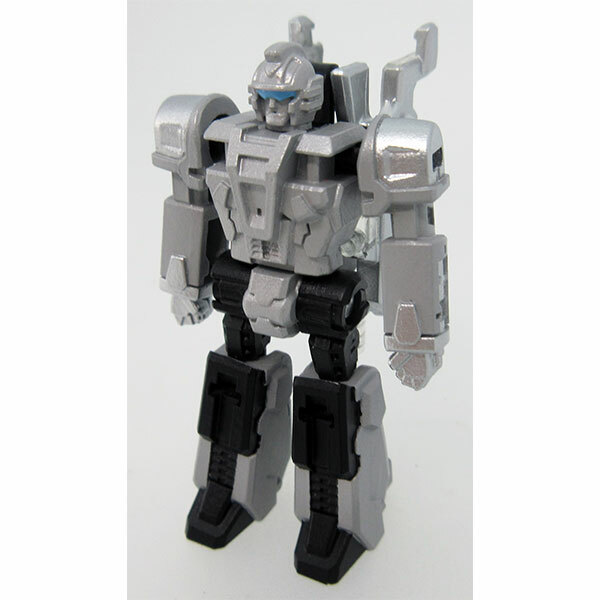 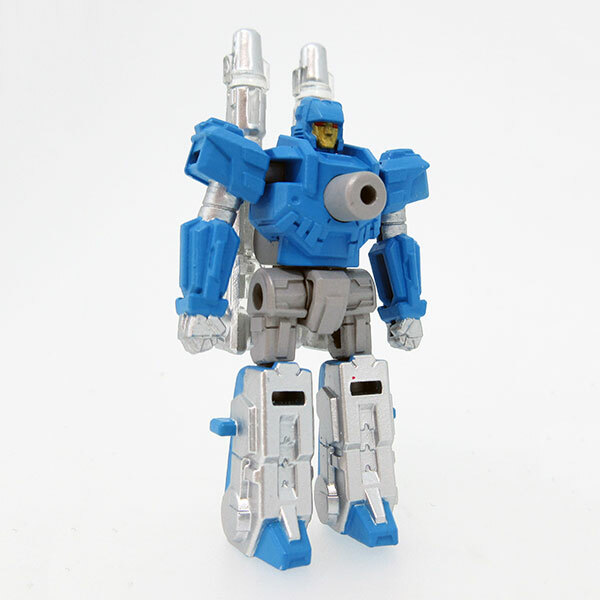 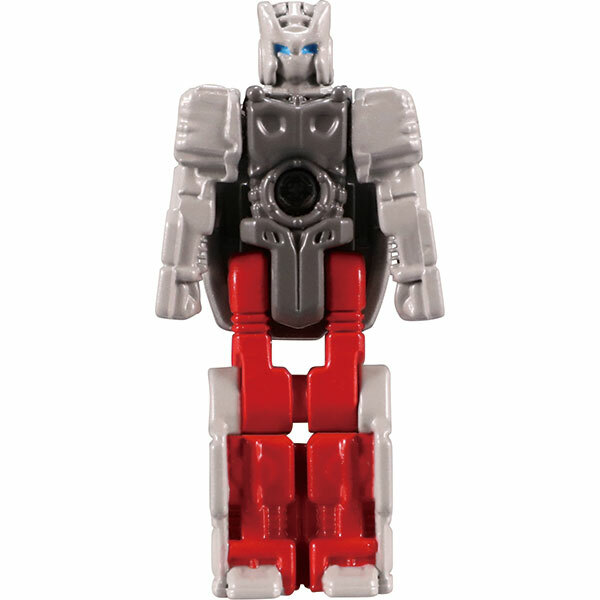 Broadside, last but not least, drops much of the translucent blue plastic for grey, as well as having his Headmaster painted to resemble his robot mode (specifically it now looks a lot like the Generation 1 toy’s robot mode). 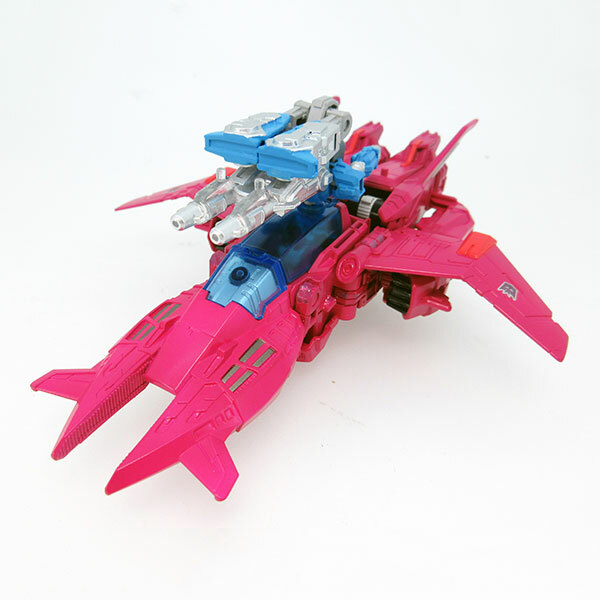 Check out the images of all four of these toys attached to this post.